Dreams are a fascinating part of human data that remain uncaptured. Perhaps this is the missing piece in the lifelogging puzzle that we have all been searching for? Having successfully reached their Kickstarter goal recently, Shadow is on its way to develop and craft a method for us to remember every dream (or nightmare) that we’ve had. Using a motion sensor, the Shadow app monitors users’ sleep cycle, wakes them up at the optimum moment for dream recall, and then replays a recording that asks, “What were you dreaming about”. Following that, a voice recorder is activated automatically, and users can verbally journal their dreams. The voice recognition software then converts the voice recording to text, and an algorithm pulls out keywords, to be logged. These keywords can then be studied over periods of time to observe patterns in our subconscious minds. And if you share the same vision as Shadow, and would like to understand dreams across the different cultures for example, you could maybe even submit your collection of dreams for research purposes. Never get lost with Navigate! If getting lost (not just in your dreams) is your forte, here’s the one thing you’ll need in order to lose that skill forever. Navigate, a company that specializes in technology software and garment design, desires to help wearers find their destination using integrated LED lighting and haptic feedback. With an accompanying app that stores relevant destinations and uploads turn-by-turn directions to the jacket, users can enjoy the walk to their destination without having to refer to Google Maps on their phones after every 30 seconds. Embedded with Navigate’s technology in the sleeves of the jacket, the lights indicate how far the wearer is to the next turn and the current stage of the journey, while vibrations alert the user of when to turn and in which direction. We’re excited to see what else Navigate has up their sleeves! SEE ALSO: This Week in Lifelogging: Quantifying photos, Sousveillance and how self-tracking could save your life. And it seems like it’s not just jackets that are getting “smarter”. It has been rumored that Microsoft is working on a smart bra to measure your mood as well. So if you are prone to binging on snacks when stress gets the better of you, this bra could really help you overcome that. This smart bra was used in their research to investigate just-in-time interventions to support behavior modiﬁcation for emotional eating. In their research paper, they mentioned that the motivation for deciding on a bra was because firstly, they needed a form factor that would be comfortable when worn for long durations. Secondly, the bra was ideal because it allows them to collect electrocardiogram (EKG) readings near the heart. With these and other considerations in mind, they decided on using conductive pads that could be inserted or removed from the bras instead of building each participant their own embedded sensor bra since each participant’s chest and rib size would vary greatly. The result? They concluded that “building a wearable, physiological system is feasible. However, we will continue to explore how to build a robust, real-world system that stands up to every day challenges with regards to battery life, comfortability, and being suitable for both men and women.” Would you want a smart bra? But of course, strong rival Sony certainly does not want to lose out on this “smart wearables war”. The Sony Computer Science Laboratories (Sony CSL) were founded in February 1988 for the sole purpose of conducting research relating to computer science. Their objective is ”to contribute extensively to social and industrial development through original research that looks ahead to the 21st century and has the potential to achieve breakthroughs in computer technology.” With that in mind, it seems like Sony has patented a smart wig. 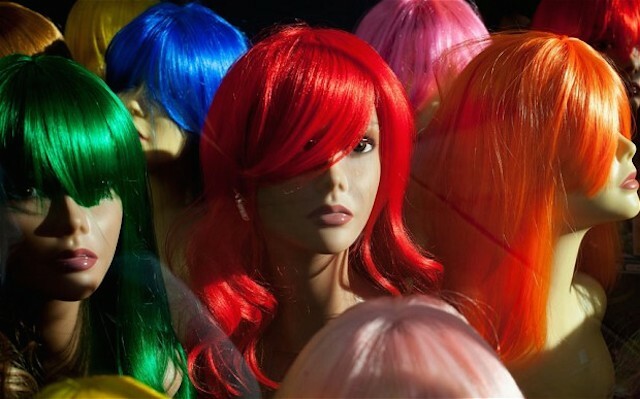 This wig would include ultrasound sensors, a camera and a laser pointer. It could even vibrate in order to provide tactile feedback, for instance giving directions while walking by sending a small buzz to the left side of the head or right side of the head. However, contrary to a traditional wig, this smart wig is not necessarily intended to replace absent hair, but to be worn as a sort of mobile computer. This patent was filed although there were currently no plans to commercialize the product. Would you wear one if they do? 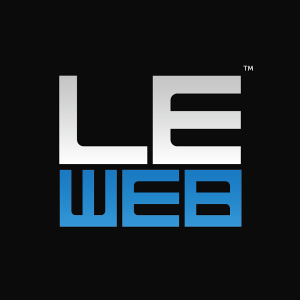 Narrative will be at LeWeb in Paris!